In today’s busy bustling festival circuit, each event needs its niche, its USP, its defining factor, and Bluedot Festival in Cheshire is perhaps the pick of the bunch. 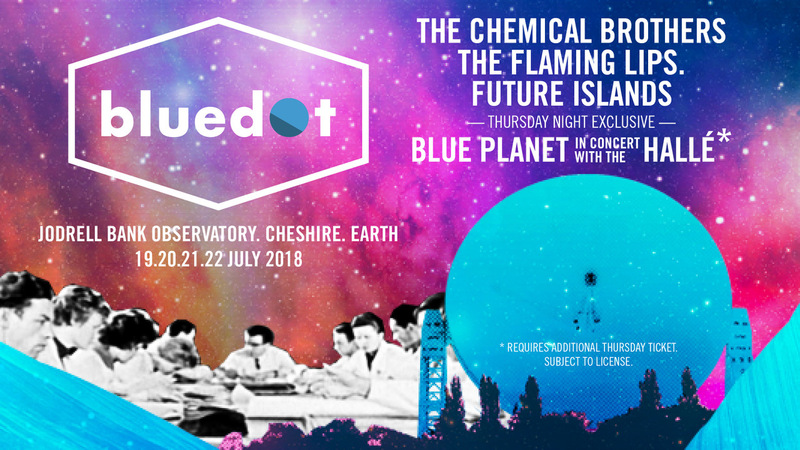 Space-themed and astronomically-centred, the four-day event is hosted at an actual observatory, with headline performances from Future Islands, The Flaming Lips, and the original superstar DJ’s- The Chemical Brothers. 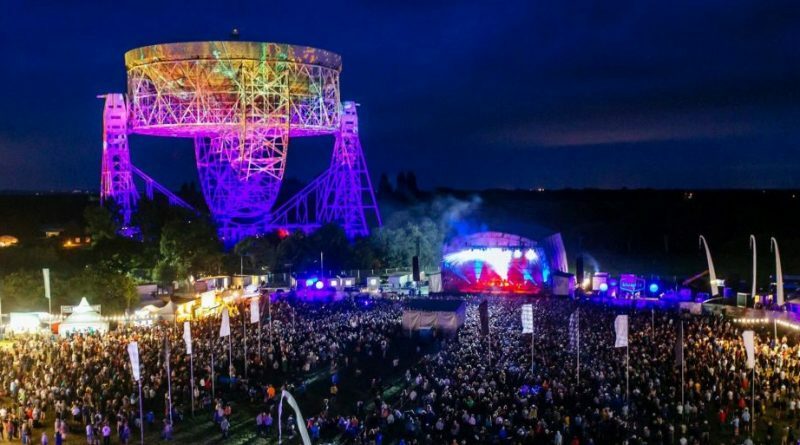 Usually smaller festivals struggle to provide value with day tickets, although on the site of Jodrell Bank Observatory, there was plenty to do in a day for anyone with an inquisitive disposition. From the massive inflatable luminarium with a queue longer than the bar, to the science workshops and extremely esoteric costumes, you got the impression that this was actually a ‘Festival with a Difference’ – with a difference. This real mix was echoed in the music on offer. Acid Mother’s Temple provided some raucous acid-folk that was surprisingly groovy and clear for an improvised act in a tent, while the roots stage provided a much quieter, yet still rich sound. Vessels lit up the Orbit Stage in the late afternoon with a lose-yourself set, laced with radar bleeps and techno static – a truly fitting act for the festival. Leaving the Orbit stage, Algorave in Mission Control attracted with their live-coding visuals and hectic drums and basslines, though for a 3-hour set, the beats were perhaps too sparse. On the main stage, Little Dragon fittingly played their playful sound in the beating sun, while George Fitzgerald played a near-droney live set. Fitting in a bit of The Orb’s non-linear trip of a set and Craig Charles’ vigorous funk and soul party, you could really appreciate the varied crowd – a mix of ex-raving parents, current raving 20-somethings, people with PHDs, and true psychonauts. Headline event The Chemical Brothers, would have appealed to each and every sect. Speaking with Technical Director of the set Marcus Lyall, he and Creative Director Adam Smith wanted to create a show that would make those who couldn’t relive their hedonism (as they have ear-phoned kids in tow), feel as though their brain chemistry was going haywire. Watching the projection mapping on the telescope synchronise with the visuals, with only two small cans of cider in me, I can vouch for this. You need to see this show, and this festival, for yourself.